Welcome to Avid Adventures Japan! Avid Adventures Japan works closely with the race organizers of Japan's premier trail running races to help them introduce their races to an international audience. 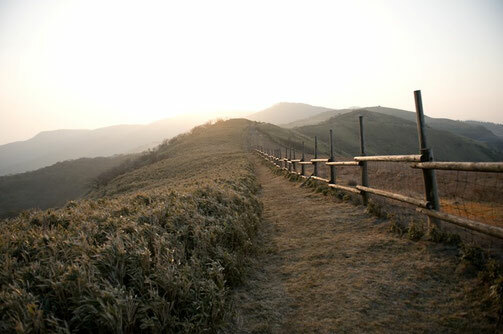 Trail running is a wonderful way to come and experience the beautiful mountains and local culture of Japan and we're excited to be able to open up opportunities for racers coming from overseas to participate in these amazing races! Here's our race lineup for 2018 & 2019! We are proud to present four of the most iconic and popular races in Japan! If you have any questions regarding the race, registration and/or the packages, please feel free to contact us anytime. We look forward to making your trip to Japan an unforgettable one! 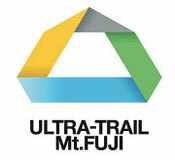 The UTMF is one of Japan's premier ultra-trail running races that takes racers around the mountains surrounding Mt. Fuji. 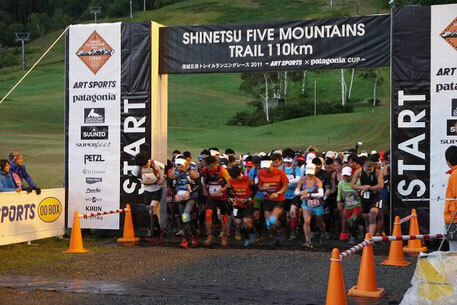 It's part of the Ultra-Trail World Tour (UTWT) international ultra-trail running series and is the largest trail race in Japan. For 2019, a major change in the race format was announced. The STY (92km) will no longer be available and there will only be one category - the 170km UTMF. Click here for the UTMF's explanation regarding the new format for the 2019 UTMF. Avid Adventures has been UTMF's official international tour partner since the very start of the UTMF and we will be offering racer accommodation & support packages again for 2019! We look forward to seeing you in Mt. Fuji! Update as of Mar 8 , 2019 - Race registrations are not open yet. 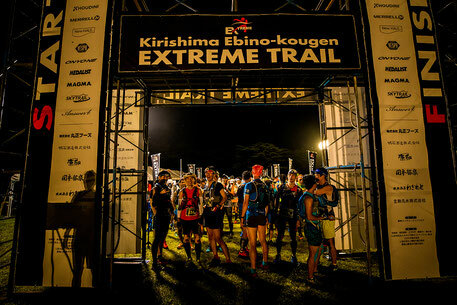 The Kirishima Ebino-Kougen Extreme Trail is an exciting trail race located in the Kyushu area in southern Japan. There are two categories - a long and short course, and both courses will take you some of the most beautiful mountains within the Kirishima National Park. The official race website has added an English website where we've translated all the race details and registration information. Overseas racers will be able to register for the race from the Avid website (starting the week of Feb 19 - please check back again soon!). Race accommodation & transportation details will also be available on the official website. Registrations for 2018 started on Sunday, June 10, 2018 at 21:00 JST and is expected to be around the same timing for 2019. Please check back for details or sign up for our mailing list below for updates! 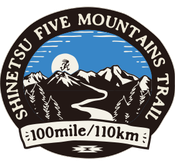 The Shinetsu Five Mountains Trail (SFMT) race is one of the most popular ultra-trail running races in Japan that sells out within minutes every year. Last year a new 100 mile (160km+) category was introduced in addition to the 110km race. Unfortunately the 100 mile category was shortend due to bad weather so the 2018 race should be the very first challenge for this particular distance. As the race does not have an English website, the race organizers have asked us to provide an official translation on our Avid website. As the official SFMT International Help desk, we will also be responding to any questions you might have about the race so feel free to drop us a line anytime! Overseas racers can sign up for the race through this website (30 slots available on a first come first serve basis). 2018 race entries are now closed. Race registration started on June 1, 2018 for the 2018 race and is expected to be around the same time for 2019. Click on the button below for Accommodation & Transportation Packages for ITJ 2018 overseas racers and supporters. 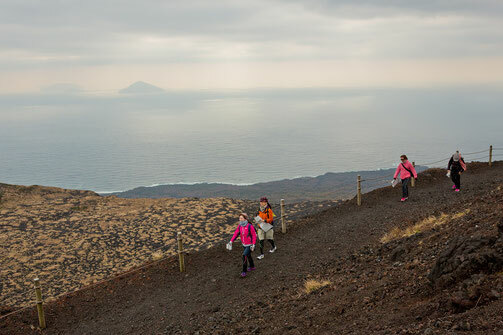 The Izu Trail Journey (ITJ) is yet another popular race in the stunningly scenic Izu Peninsula. The race is part of the Asia Trail Master Series and is the Final Championship race in the series. Come and join us for an exciting navigation game on one of Japan's most scenic and dynamic islands! Located approximately 120 km south of Tokyo, Oshima can be reached via high speed ferry in just 2 hours or by cruise boat (with sleeping rooms) in 6 hours. Here's a few articles about Izu Oshima where you can read about just how amazing this little "big" island is! For updates regarding race dates, registration dates, etc. please feel free to subscribe to Avid's mailing list. We'll try to send out an email once every few months if we have any updates!